iTel Mobile is looking for passionate, qualified and interested individuals in some specific field basically in the Graphics design, Online business and Technology Niche. So if you think you are qualified or you have a friend, family or relative qualified or the job then you can as well ping him or her to apply, who knows he/she might be the accepted for the Job. So guys the nature of the job, requirements and the closing date to apply have already been drafted in this post. the needs of our audience. 1. Curiosity and passion for Telecom and Mobile industry (a must). 2. Candidate must be fluent in English. 5. 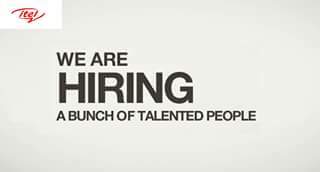 Must be very articulate and highly focused individuals with a strong desire to achieve set objectives. 6. Ability to think outside the box and generate unconventional ideas. 6. Collaborate with other departments to manage reputation, identify key players and coordinate actions. from brand new audiences that don’t yet know us. 9. Explore new ways to engage and new social networks to reach our target buyers. 3. Deep knowledge and a passion for social media marketing is a must. 4. Active and well-rounded personal presence on social media, with a command of each network and their best practices. 5. Excellent communicator and creative thinker, with an ability to use both data and intuition to inform decisions. 10. Excellent written and communication skills for internal & external correspondence is essential. 11. Strong understanding of current online marketing concepts, strategy and best practice. 2. Supervising and liaising with agency to develop and execute the communication contents/articles/events. 3. Analyze the effectiveness of these strategies by looking at relevant metrics such as ROI, CAC and CPO as necessary. 5. Organize and coordinate events such as press conferences, exhibitions and conferences. 6. Responsible for building and sustaining the company’s reputation for quality, reliability, and customer satisfaction. 9. Prepare report for top management on regular basis. 2. Willingness to work in a fast-moving, dynamic company with fast changing targets. 3. Strong project management skills and ability to manage several projects simultaneously. 5. Proficiency in Microsoft Office tools (Word, Excel and Power Point) and Google Office productivity tools. 5. Must be proficient with the Adobe creative suite (Photoshop, Illustrator, Indesign, and After Effect). unique designs that convey a recognizable meaning. 10. Time-management skills. Must be able to work on multiple projects at the same time, each with a different deadline. 11. Proficiency in Sketch is an added advantage. Interested candidates should please send their resumes to [email protected] stating the preferred Job role as the subject of the email. Application Closing Date: 4pm on Friday, 26th August 2016. Android Nougat 7.0 Launched Today And Here Are The Devices Getting It First.